Finding something to keep children occupied over half-term or other school holidays can be a challenge. 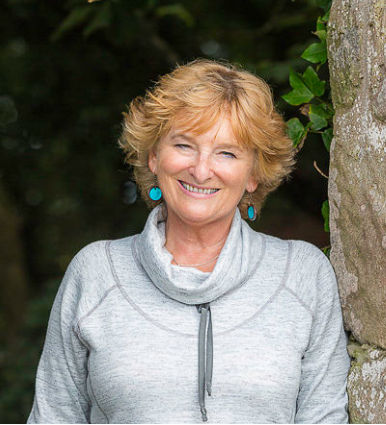 Whether they’re your own kids, grandchildren, nieces or nephews or you’re just doing a good turn for a friend, you’ll probably be trawling the internet for ideas as well as asking others for advice. 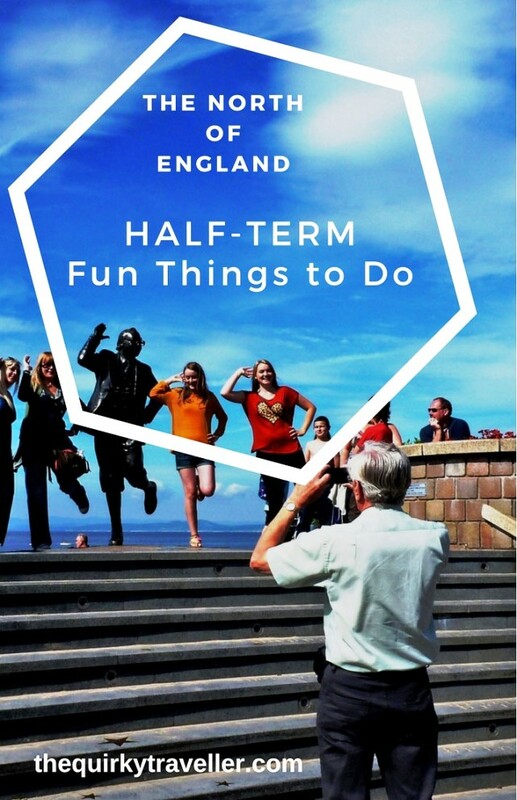 Here are a few suggestions for those of you on half-term holiday in the north of England: Merseyside, Tyne and Wear, Northumberland, Lancashire and Cumbria. What a fab city Liverpool is for kids. There are loads of exciting, fun, cultural and quirky things to do here. 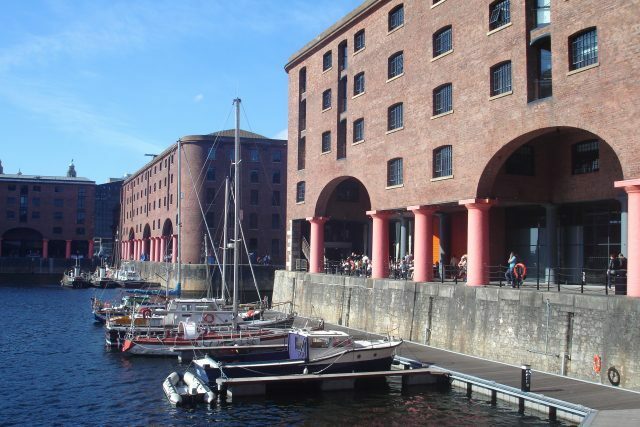 My favourite place is Albert Dock; with its historic connections to the city’s sea-faring past, Tate Modern, The Beatles Story, the Merseyside Maritime Museum and the International Slavery Museum. The newest attraction is Mattel Play! Liverpool where ‘… your child’s creativity and natural curiosity will bring their favourite characters and stories to life.’ There are lots of restaurants, bars and cafes, galleries and shops to keep everyone happy. If you get time, go over to Crosby to Another Place, where sculptor Antony Gormley has placed a 100 life-size naked figures on the beach and in the sea. 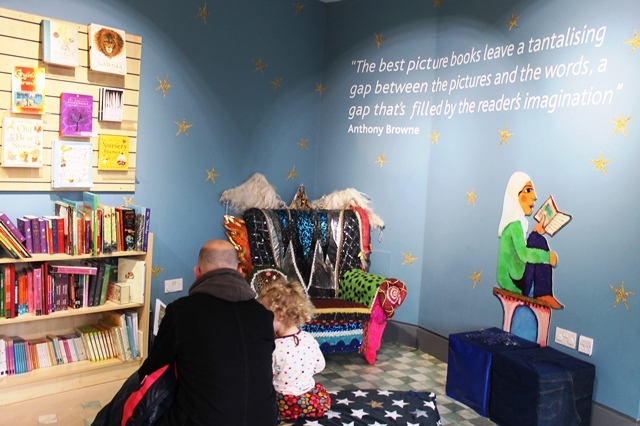 If you want to capture the magic of reading with your kids then visit Seven Stories – the National Centre for Children’s Books in the Ouseburn Valley, Newcastle. This quirky museum and visitor centre gets its name from the theory that there are only seven basic plots in literature, and the fact that the renovated Victorian Mill in which it is housed has seven levels. During my visit there was an enormous stuffed tiger waiting for his tea and a black cat called Mog was flying across the wall. 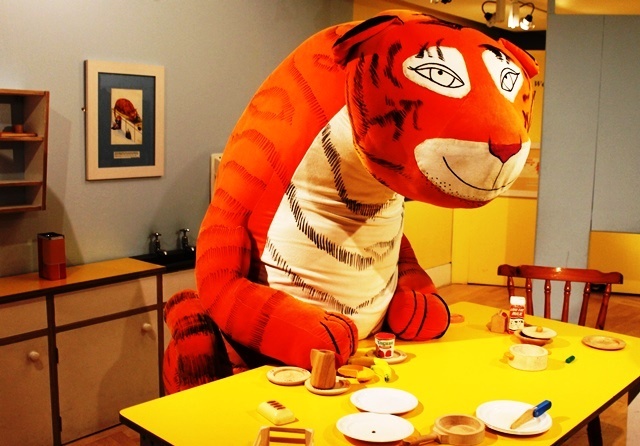 They were part of famous author Judith Kerr Exhibition. The displays change throughout the year and there are plenty of activities including story-telling and creativity workshops. After you’ve been here, cross the River Tyne to Gateshead for a more cultural enjoyment at the Baltic Centre for Contemporary Art. 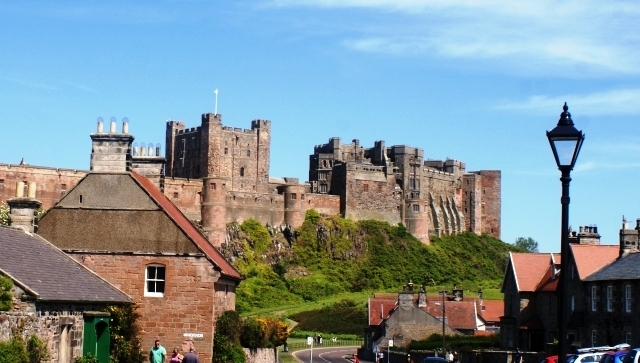 Most children love castles and you can’t get more dramatic than Bamburgh Castle, set up on a rocky outcrop overlooking beautiful Bamburgh Beach in the charming village of Bamburgh. In 1464 during the Wars of the Roses, it became the first castle in England to be defeated by artillery, at the end of a nine-month siege. Extended, ruined and brought to majestic splendour in the 19th century, the castle, owned by the Armstrong family, is now a historical treasure trove. As well as the many rooms furnished with artefacts and quirky memorabilia, it houses the Armstrong and Aviation Museum. There are plenty of activities to keep the children happy and a gorgeous stretch of beach to run off excess energy. Fancy a bit of seaside fun in Lancashire? Never mind glitzy Blackpool, visit Morecambe and discover a fascinating little town on the up and up. Take the family on a bike ride along the promenade, on the shores of world-famous Morecambe Bay. You get stupendous views from Heysham Point over to the Lake District mountains. Get a group photo beside the smiley statue of Eric Morecambe– yes, he took his stage name after the town he loved. Further round the Bay is the iconic Art Deco Midland Hotel – get the kids to find the seahorses outside. pop in for a look at the renowned Eric Gill artwork. Take a stroll along the Stone Jetty behind the hotel. Embedded into the ground are funny rhymes and riddles, puzzles and a little labyrinth. 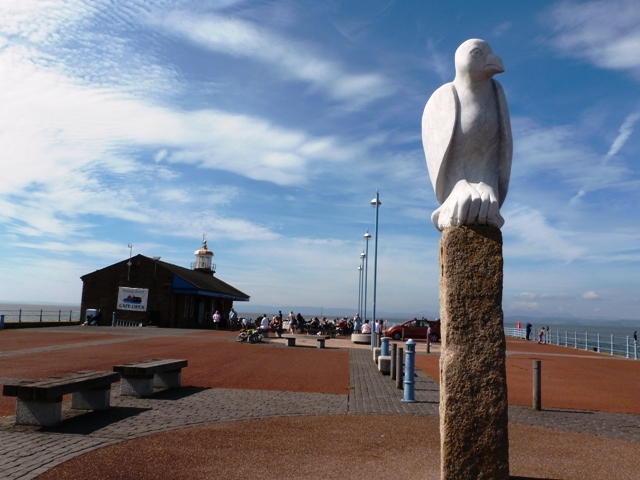 Part of the Tern Project there are quirky bird sculptures and a splendid stone eagle gazing out across the town. Going for a walk in lovely countryside is a great way to get kids some exercise and away from their digital devices. outside. 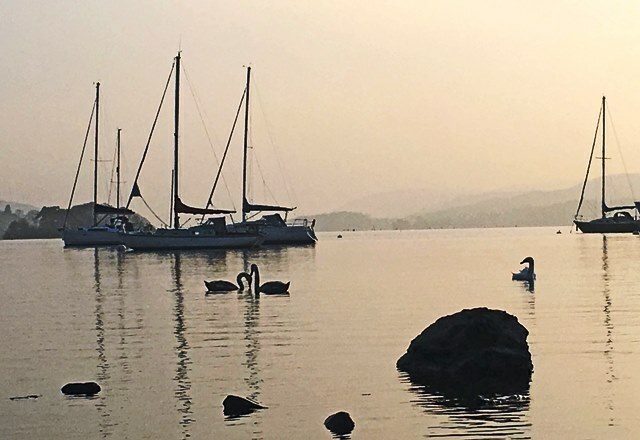 The Lake District is perfect for outdoor activities but gets VERY busy at half-term so I’d suggest you search out lesser known places in Cumbria.some However, if you are only visiting for the day, have limited time or want to be somewhere with plenty of shops and things to do, Bowness-on-Windermere ticks all the boxes. There’s an easy walk to National Trust Cockshott Point with grassy mounds and a little wood to explore. You’ll see yachts bobbing about on the lake and the Windermere Ferry gliding over to Hawkshead side. There’s a little cafe that may or may not be open and a pebbly beach at ‘Pirate Bay‘. What are your favourite places to take the kids over half-term or when you’re on holiday in the UK? Do leave your thoughts and suggestions in the Comment Box below. Of course there is so much to do during the school holidays all around the UK. What are your favourite places to go and things to do?